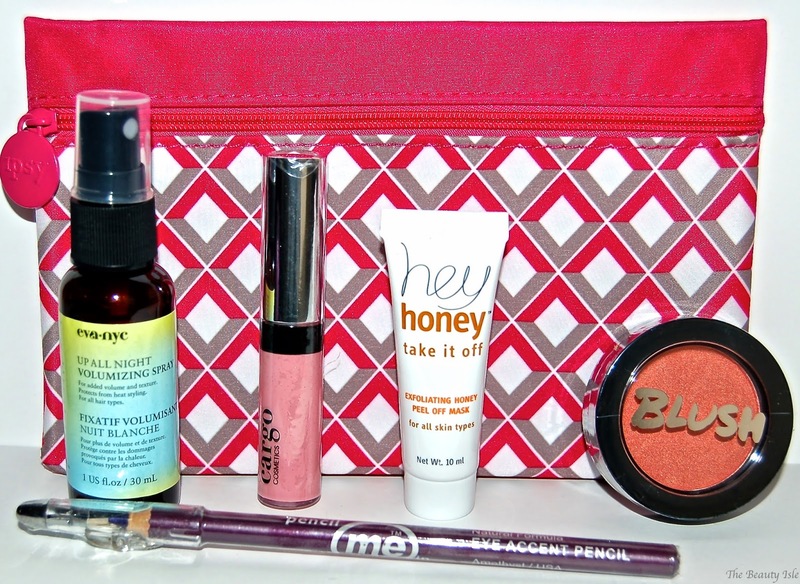 Ipsy is a monthly beauty subscription service. For just $10 you get 4-6 deluxe sample size or full size beauty items. These items are typically hair, skincare, and makeup products. They can range from high end to affordable brands. Everything comes in a pretty makeup bag that is different each month. The theme for this month is "#ipsyLove" which is certainly festive for Valentine's month. The makeup bag is very cute, solid pink on the back, and a colored diamond pattern on the front. This eye liner is supposed to be budge proof and last all day. I love that the cap has a built in sharpener. I already own several purple eye liners so I'll be putting this in my giveaway pile. I love exfoliating masks but I dislike peel off masks. I used this once and can probably get one more use out of the tube. Like all peel off masks, it feels sort of sticky to apply and peeling it off isn't very easy (especially if you get it on your hairline or eyebrows). After use, I didn't notice any improvement in my skin whatsoever. I've liked the other Eva NYC products I've received in my Ipsy bags so I look forward to trying this one as well. Also, it smells really nice. 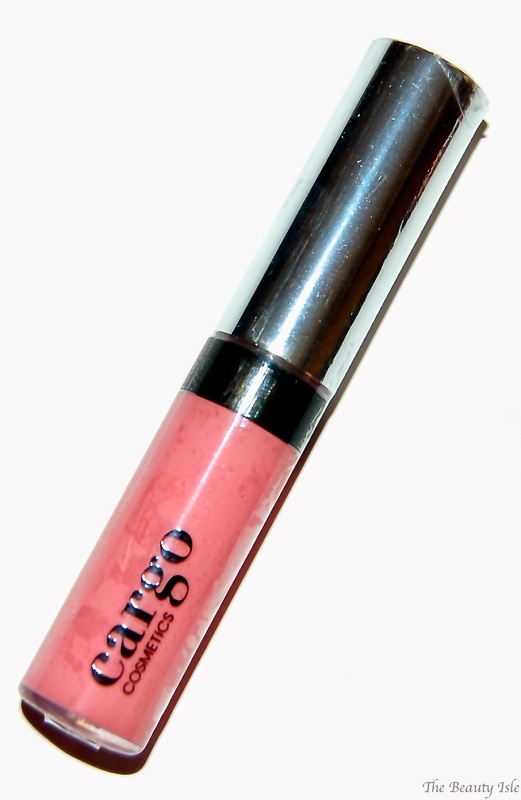 ModelCo Blush in Peach Bellini - $10? 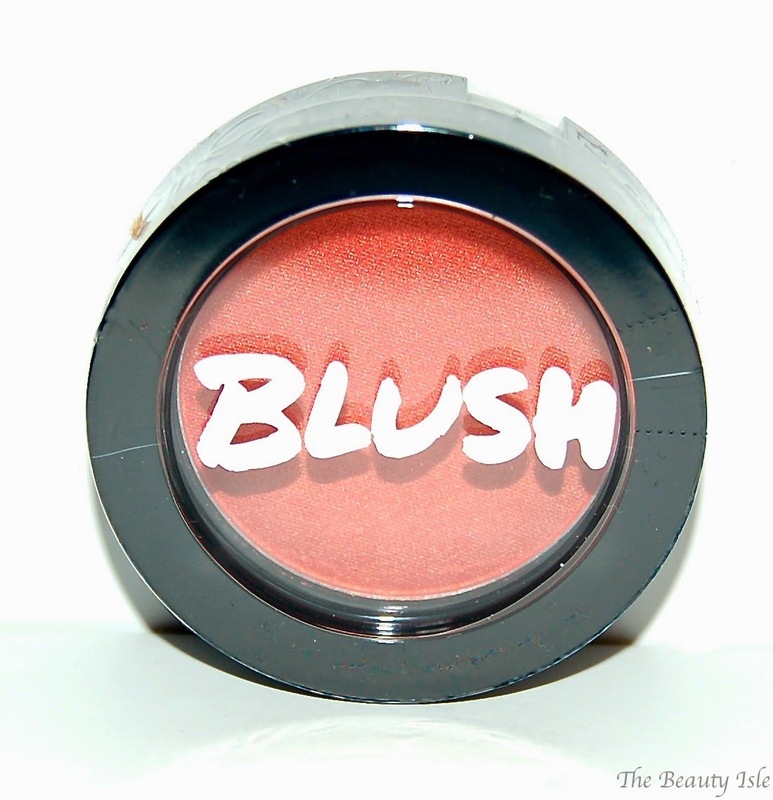 It's hard to say how much this blush is worth because the website lists it as a set with a kabuki brush for $20. I actually didn't open this blush because I have many blushes in similar colors so I'm going to pass this on. Soft pinks like this don't compliment my skin tone so I plan to pass this along. I appreciate receiving a Cargo product in my Ipsy bag though! If was keeping the blush and the gloss I'd be more excited about this bag. The total value of the items in this month's Ipsy Glam bag is about $30 so that makes the $10 I paid for it really worth it! If you'd like to sign up for Ipsy you can do so my using my referral link here.